In like 6 to 8 hours. 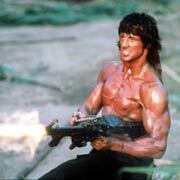 Are you THE Rambo ? Are you THE Rambo? In which case I'll kill you.